Ever since Sarah Lund stepped onto our screens via Danish television series The Killing, sporting a certain jumper, our interest in Scandinavian wool has been piqued. But the Norwegians have been working in wool for centuries. Katie Treggiden investigates the enduring appeal of this ancient material. First, we have to look at the history of wool in Norway. Archaeological records show that the history of spinning and weaving in Norway dates back to the time of the Vikings. The Old Norwegian or ‘Gammel Norsk Spælsau’ is one of the most ancient domestic sheep breeds still present in Europe. The Old Norwegian’s wool is 33 – 36 microns wide and 80 – 120 millimetres long, making it perfect for a range of applications from combing, felting and hand knitting to spinning into yarn. The cold, fresh mountain pastures the sheep graze on deter bacteria and parasites, reducing the need for chemicals in the cleansing of their fleeces. 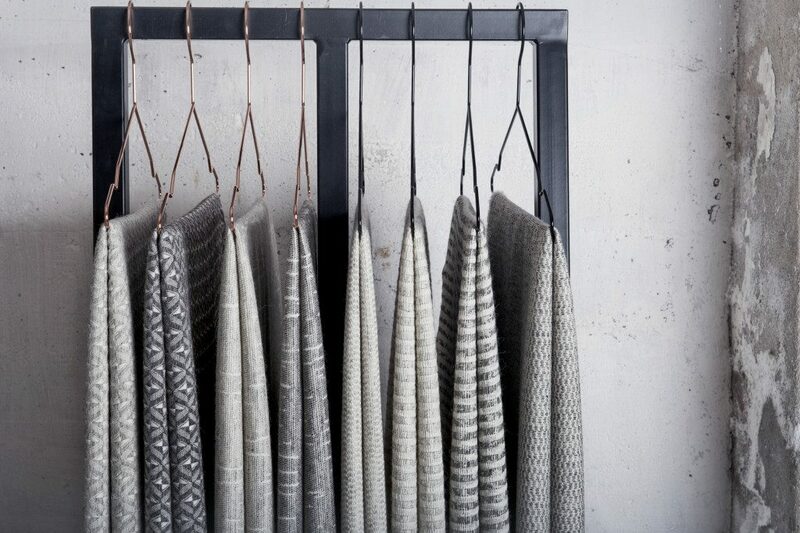 “The combination of these climate conditions and careful breeding through generations has resulted in a course, bulky wool with a high degree of resilience, which is ideal for warm, comfortable blankets,” explains Norwegian designer Kristine Five Melvær. Besides being warm, it is also green – completely biodegradable, Norwegian wool has been verified by the EPEA on ‘cradle to cradle’ criteria, and is certified by the Nordic Eco Label. But what’s really interesting is the way that contemporary designers are eschewing modern materials in favour of working with local producers to reinterpret Norwegian wool for a new audience. 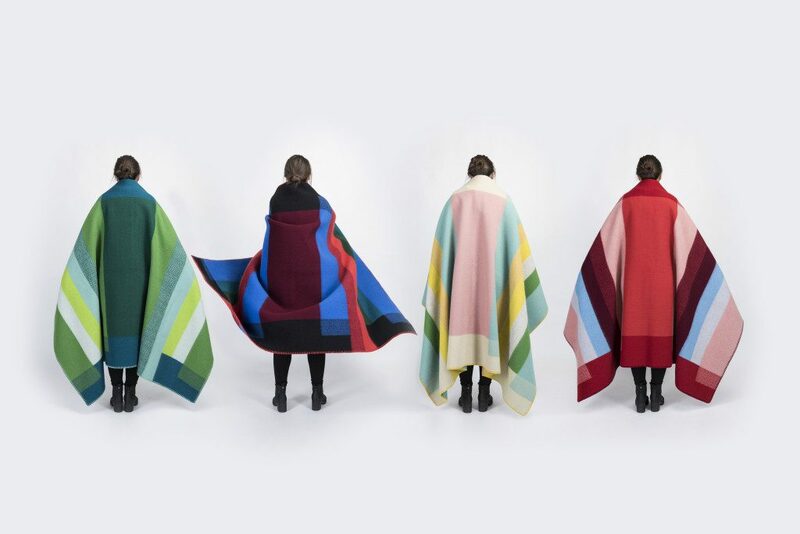 Oslo-based designer Andreas Engesvik’s Bunad Blankets are made by 100-year-old textiles company Mandal Veveri and based on the traditional folk costumes the factory also produces. “The idea for the Bunad Blanket came about one Christmas Eve,” he says. “I was sitting in the kitchen – surrounded by my girlfriend and her family. They were all wearing Setesdal bunads. I sat in a chair while the others stood and walked around me. The abundance of colours, stripes and details was overwhelming. It hit me then that bunads could be experienced as colours composed on a surface.” The first collection, launched at the London Design Festival’s 100% Norway in 2012, comprised 130 x 200 centimetre blankets featuring motifs from five different regional designs; Setesdal, Nordland, Fusa, Bringeklut from West Telemark, and Sunnmøre. 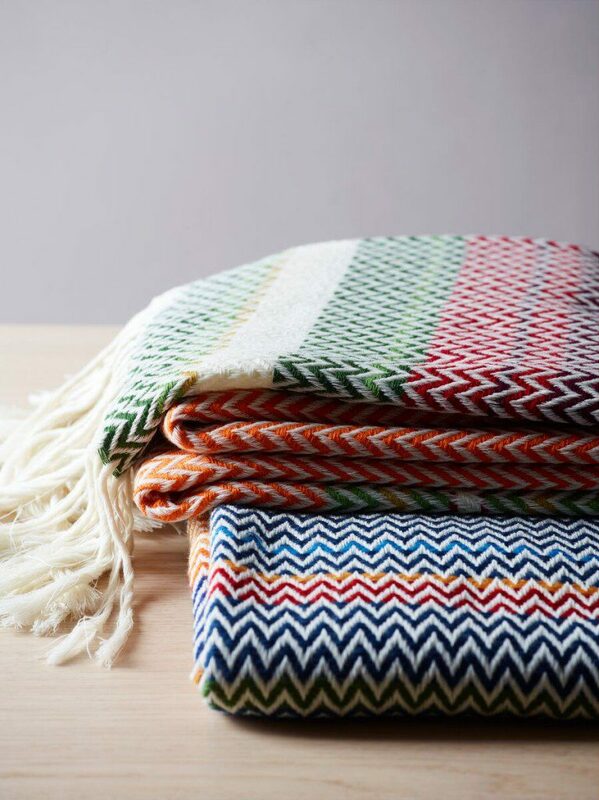 “The Bunad Blanket introduces this rich tradition into our daily environments and interiors,” says the designer.